There used to be a wind turbine here? That was one of the questions that a new student asked this year and the inability to respond was very shocking. The short answer is yes. But not many people know what happened to our wind turbine and why it’s not standing anymore. It all started with a cold and windy night in April of 2018. 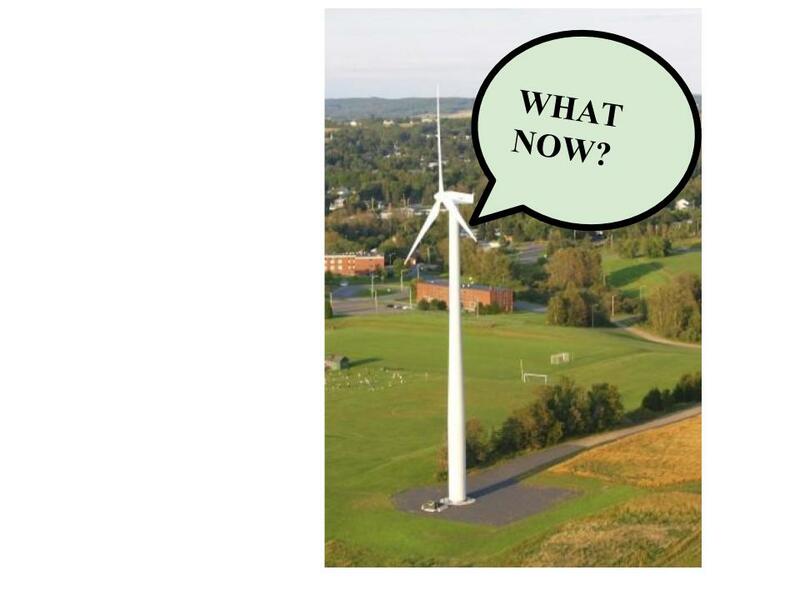 It was the night of April Fools’ Day, when students from all the residence halls heard loud sirens and saw the firefighters and police gathering by the soccer field where the wind turbine used to stand. The whole UMPI community was shocked during that night. They couldn’t believe that the wind turbine was actually on fire. That probably was the only wind turbine that they had ever seen catch on fire. Thankfully, there were no injuries and the fire was gone. But the wind turbine faced some serious damages. An investigation conducted to find the reasons that sparked the fire found that the main cause was an electrical power failure. The failure had nothing to do with the wind speed that was really strong during that night. Rather, it was metal fatigue that caused the fire. Later on, during the summer, the top part of the turbine that was damaged had to be taken down due to safety issues and in order to plan for the next phase: replacement or the plan change. The main issues that took part in the evaluation of the turbine were the insurance policy and the process, which takes a good amount of time to complete. Currently, there are two options on the table: Repower and Decommission. This means that the university, once it settles the insurance claim, will have to evaluate every option carefully and then decide which one would be more beneficial and affordable for the future of the university’s energy production and the sustainability aspect of the project. This turbine wasn’t just a source of sustainable power, but it meant much more to UMPI and the Presque Isle community. It was not only a part of UMPI campus pride, but also an educational resource that was highly valued by students, faculty and staff. The whole UMPI community is eager to find out whether we will get a new wind turbine or possibly something else. Previous Previous post: October Is Breast Cancer Awareness Month!